HUGE 74.79 carats exceptional diamond, valued at 12 million US Dollars! 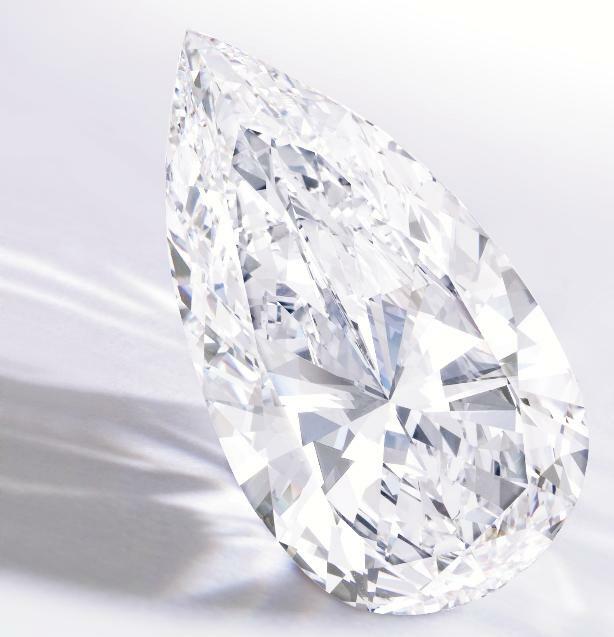 Massive Pear Shape Diamond weighing 74.79 carats is going up for auction & the estimated value is 12 million dollars. At 160,000 dollars per carat, the stone is not too expensive, IMO & is estimated much lower than a 4.36 carat fine Ruby going for auction at the same time.